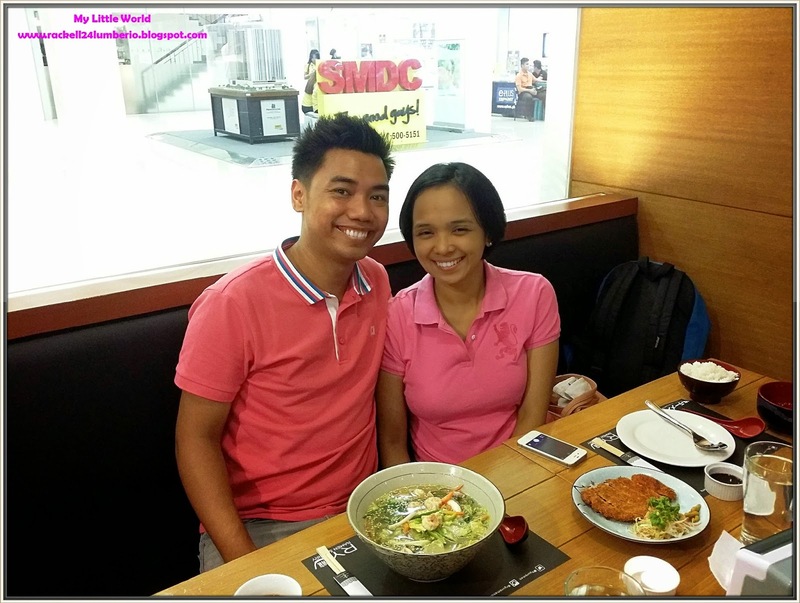 Okay, so Ian and I had our dinner at RYU Ramen and Curry at SM Jazz Mall in Bel-Air Makati. Knowing my husband, he really loves Ramen! As in to the highest level ang pagka hilig nya sa Ramen. 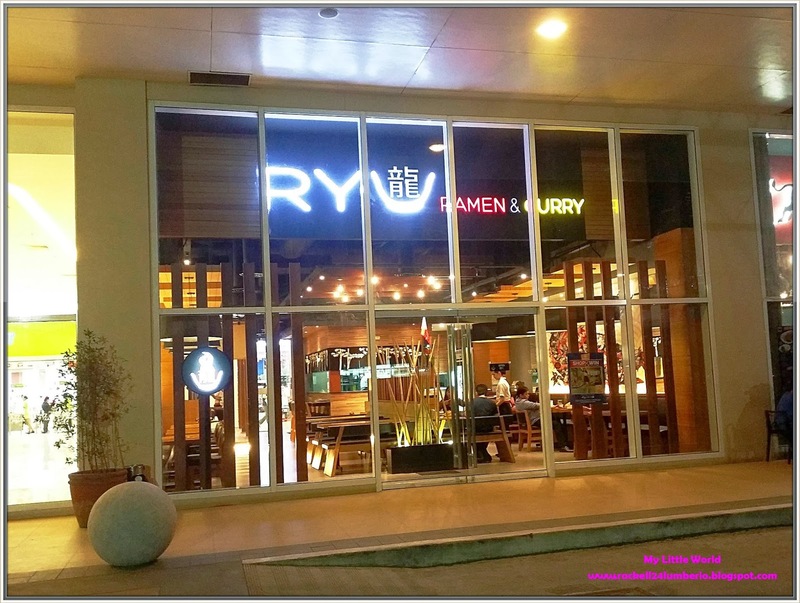 Laki ng impluwensya sa kanya ng Japan nung nagpunta sya dun or maybe namiss lang talaga nya kumain ng mga Japanese Food. 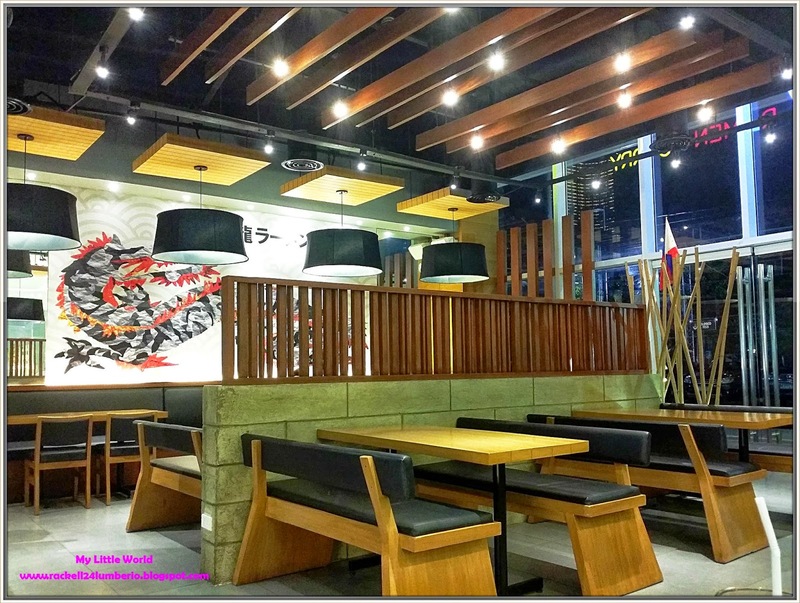 I have no idea about this restaurant basta ang alam ko lang gusto ko ng Tonkatsu that day. Hehe. Ooopppsss.. Di po ako naglilihi..
We were ushered to a table and the staff handed us their menu. According to their menu, Ramen is a Japanese noodle dish. It consists of Chinese style wheat noodles served in meat-or occasionally fish based broth, often flavored with soy sauce or miso and uses toppings such as sliced pork, dried seaweed, kamaboko, green onions, and occasionally corn. Almost every locality in Japan has its own variation of ramen, from the tonkatsu ramen of Kyushu to the miso ramen of Hokkaido. Anyway, as I looked at their menu, I got surprised because these noodles are quiet expensive for a bowl of ramen. Wooohooo.. 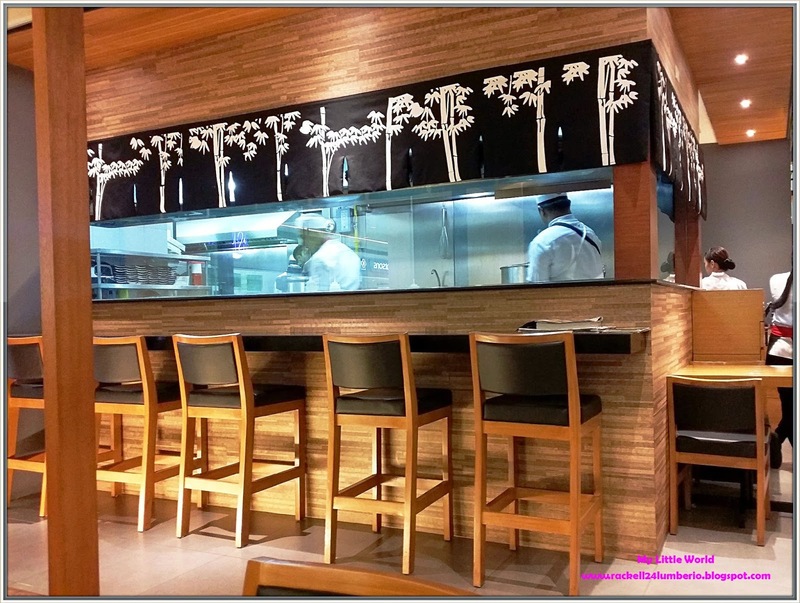 The restaurant is very spacious, I think they can accommodate 60-100 persons and best of all, there are spaces between each table. Nice! 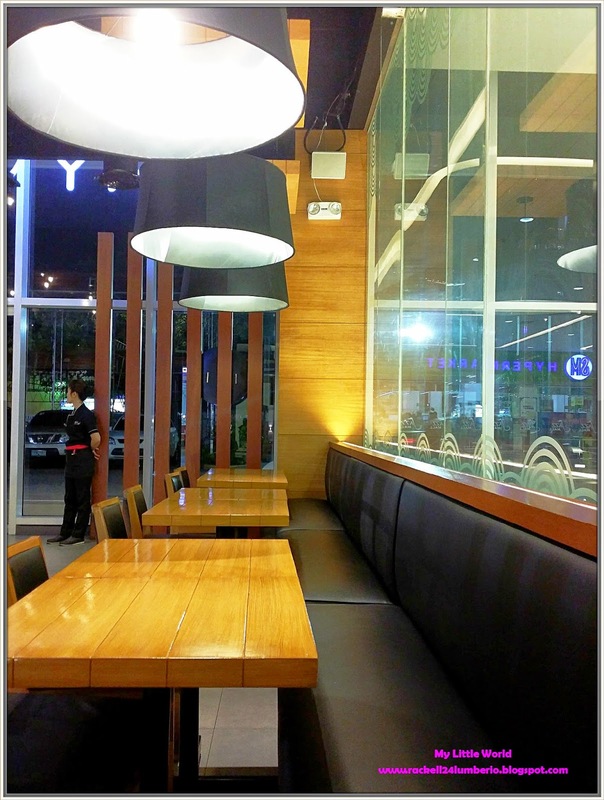 The interiors are bright and cozy; the staffs are very accommodating and attentive. 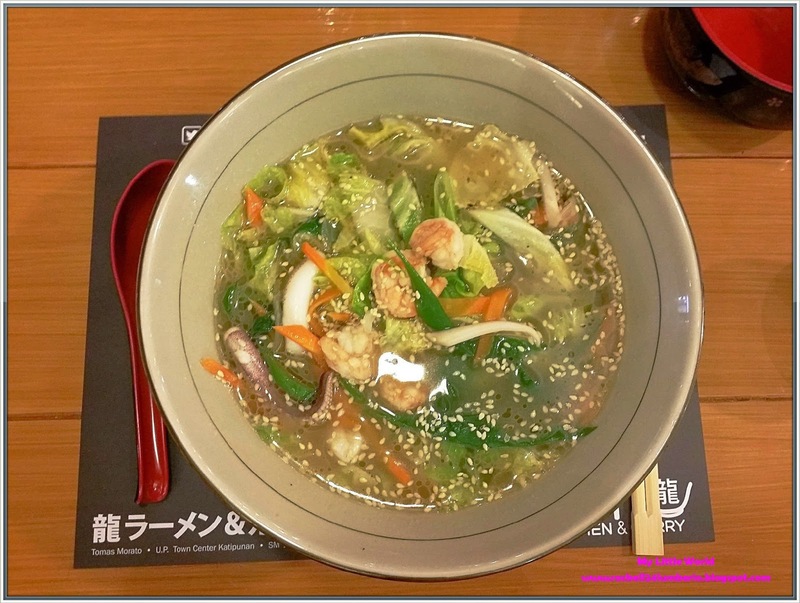 So after checking their menu, Ian ordered for Gomoku, Salted Broth with Seafood (squid and shrimp) and Sautéed Vegetables. According to my husband the broth was very tasty. Everything was perfect and the bowl us big enough to be shared. Since I’ve been wanting for Tonkatsu, I opted to order one for me. 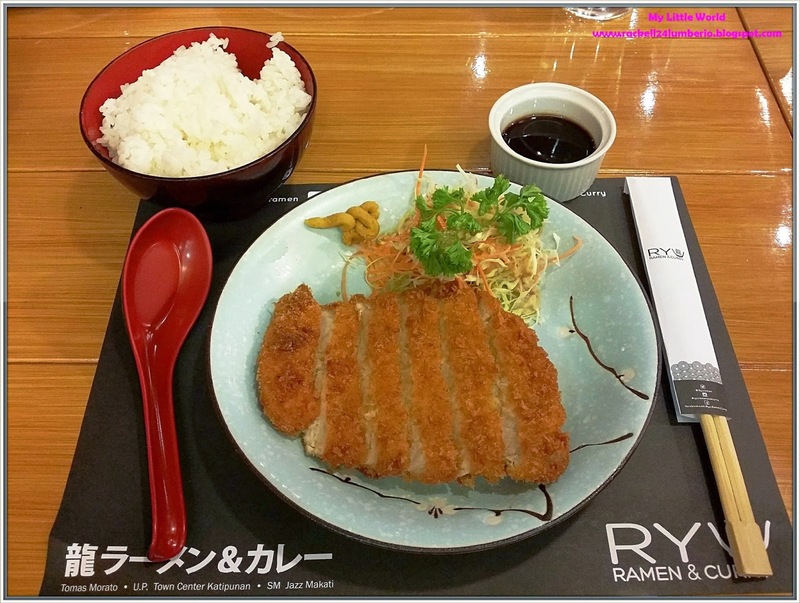 Breaded, deep-fried pork cutlet sliced into bited sized pieces, served with shredded cabbage. Well, nothing special but it was done well. 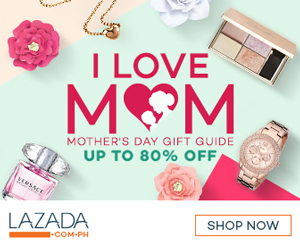 Minsan lang to Mommy, patakas pa. Hehe.